Home to luscious tropical forests, pristine beaches and a fascinating, exotic culture, Indonesia is an all-time favourite destination in the whole of Southeast Asia. In addition, Indonesia is the 4th most populated nations in the world, and the country with the largest number of islands, approximately 18 000. From a business perspective, Indonesia is slowly ditching the association with the “developing” world to become of one the world’s fastest growing economies, alongside China and India. 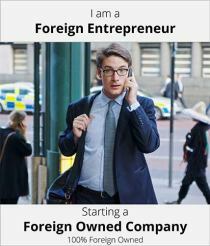 As a result, more and more foreigners are relocating to Indonesia for work or to set up a business in the country. Being one of Southeast Asia’s most populous countries with a workforce to match, Indonesia represents a profitable market to invest in. When it comes to establishing a business abroad, one must not underestimate the importance of knowing and respecting the country’s cultural norms. As a matter of fact, being aware of Indonesia’s business culture practices may prevent investors from making faux pas and ensure long lasting business relations. As far as Indonesian etiquette and business culture is concerned, standard rules apply with a few exceptions that are rather specific to Indonesia and Southeast Asia as a whole. To make the most of business meetings in Indonesia, one must understand the Indonesian etiquette way of communicating in front of business partners and people in general. To start with, shake hands when greeting and leaving (always using your right hand). As Indonesian man and women tend to avoid physical contact with the opposite gender, it is wise to wait first. If someone of the opposite gender offers a handshake – feel free to reciprocate. Do not underestimate the importance of formal greetings and make sure you exchange business cards after the initial handshake. This gesture is of utmost significance as cards should be carefully read and treated with respect when being offered/received. The concepts of agreeing and disagreeing, as well as saying “yes” and “no” are not as straightforward as in most Western nations. In Indonesia and Asia in general, there is an emphasis on being gentle, polite and avoiding embarrassing situations. Being graceful applies to all situations and loud, aggressive behaviour is never tolerated, let alone encouraged. Hence, most Indonesians tend to communicate rather indirectly and one should read between the lines: saying “no” or speaking in a direct manner is considered rude, particularly when communicating with strangers and business partners. Social and professional rank is an integral part of the Indonesian etiquette & culture, that is why it is common for people to enter a business room according to their status and it is always preferred to address others by their title. When Indonesians arrange a meeting for the first time, it is usually to get to know the people involved or get a feel of the company rather than discussing business on the spot. Essentially, this stems from the belief that taking risks and making rushed decisions is best avoided, so do not get impatient if Indonesians do not seem interested in getting to the point. Being a tropical country, Indonesia is rather hot, humid and rainy (especially between September and February). It is therefore essential to pack an umbrella as well as light, loose clothing when visiting the country. When it comes to business meetings, the recommended dress code in Indonesia is office attire. On the other hand, Indonesia is a predominantly Muslim nation and conservative in nature like most Asian countries. This translates into Indonesian culture placing particular emphasis on modest appearance: no shorts for men and no revealing clothes for women, who should avoid exposing their shoulders, legs and cleavage. In Indonesia, giving gifts as both a welcome present and a sign of respect, is quite a common practice. Gifts should always be offered using the right hand and are usually opened by the recipient at a later time. If the recipient is a Muslim, refrain from giving products containing alcohol (including perfume) or pork derivatives. Hindus, on the other hand, would not appreciate anything made with beef or cow derivatives (such as leather). Chinese Indonesians may politely refuse the gift a number of times before accepting it in order not too seem greedy. They tend to prefer bright colours and dislike items such as scissors and knives (symbolising a possible break in the relationship). During religious holidays in Indonesia, it is common to visit family members and give an envelope containing money to kids and the elderly.